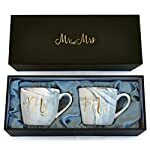 Romantic Gift for Couples, Wedding Gift for the Bride and Groom, for Engagements or as Anniversary gift Celebrations! 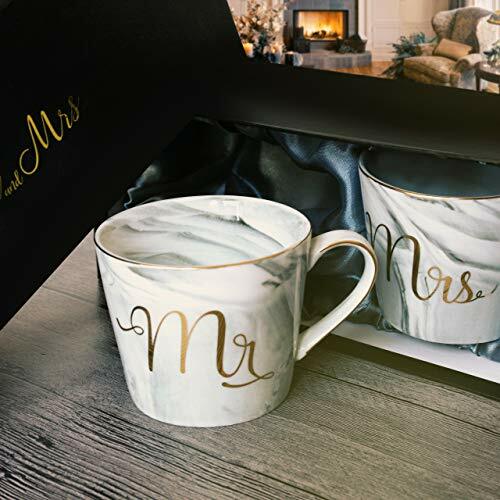 Comes in Stylish Packaging with Silk-Finished Interior and marvelous real gold foil stamped details. This item is ready for gift giving. No need to repackage. 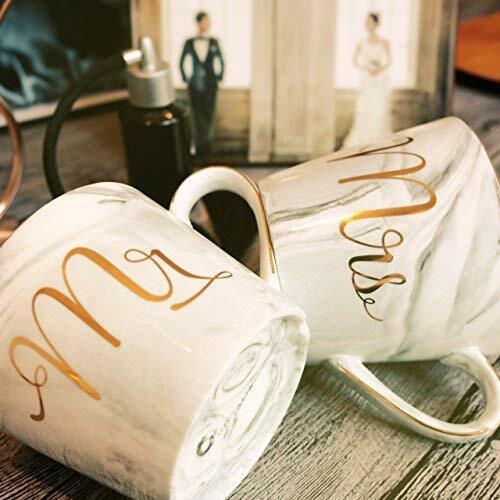 The perfect gift for Wedding, Anniversaries, Bridal Showers or even Valentines day. 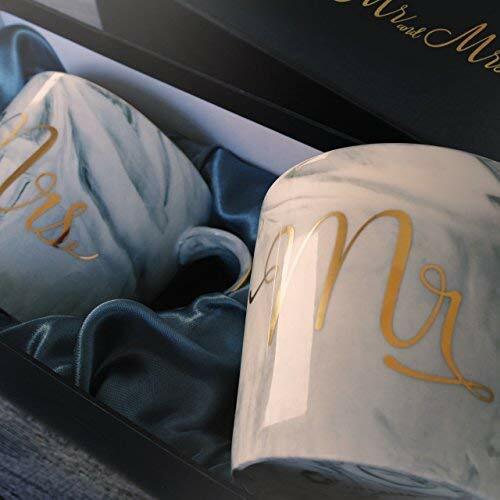 These classy 11.5oz mugs, come packed in a high-end gift box with silk cloth interior and exquisite real golden stamped surface details. Made of 100% Ceramic, they’re Dishwasher protected but not Microwave protected. 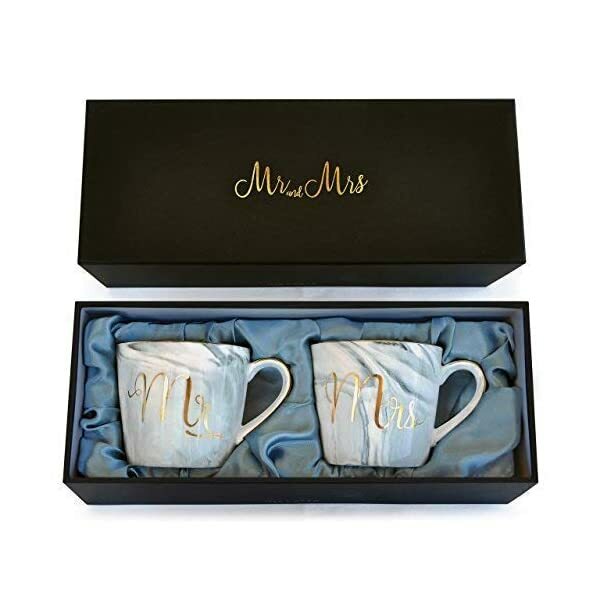 Comes in Stylish Packaging with Silk-Finished Interior and marvelous real gold foil stamped details. 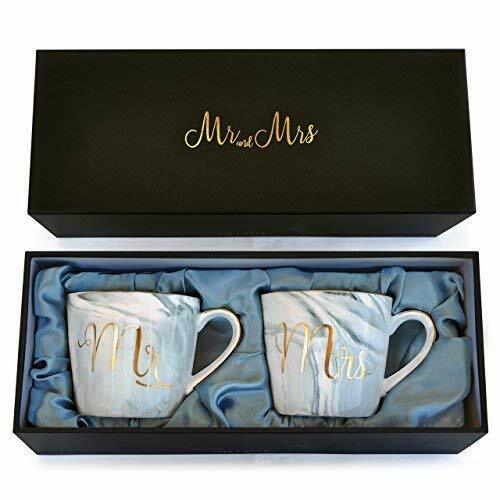 This item is in a position for gift giving. No wish to repackage. Start your day with charm! An excellent addition to the house of your family members or for your own morning routine. 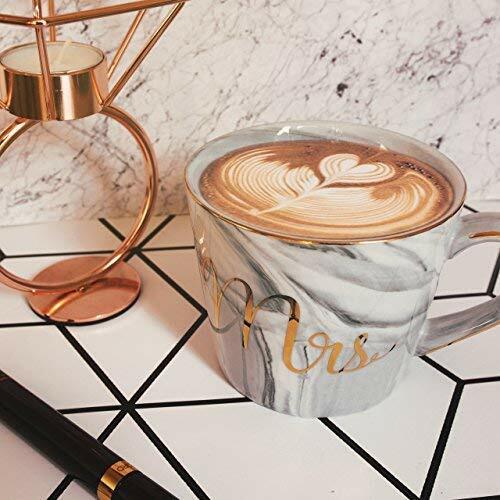 Elegant Hand Made – Every Mug’s pattern is unique! 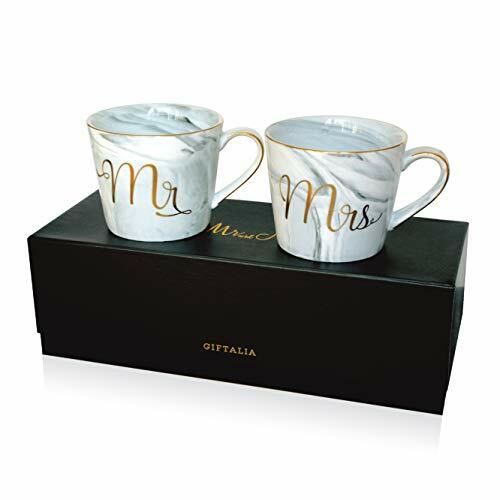 Great Value, Gold and Marble Design with 11.5oz ceramic mugs.